Cape Town - Fewer than a quarter of matrics find jobs relatively quickly, according to economist Mike Schüssler of economists.co.za. 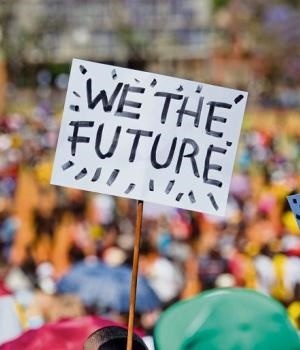 Those members of the matric class of 2017 who will not be studying further, but will be looking for a job, will not be easily absorbed by the job market, he told Fin24 on Tuesday. “It will be tough for them to get work. Over 50% of our matriculants under the age of 34 have not found permanent employment and it’s not getting better,” he said. "This is part of the process young job seekers go though. It takes long to get a first job - even for those with a degree it takes a while. You do not get a degree and suddenly you are running the firm." The overall unemployment rate in SA nears 28% in the narrow sense (excluding people out of work, but still actively searching) and 37% in broader terms (including those who have given up looking for a job). For young people this figure is much higher. Schüssler estimates it to be well over 50%. "To get your first job is probably one of the hardest things in life and often takes a while. If you have not had a job, you are regarded as not having 'proven' yourself yet," explained Schüssler. "Unemployment in SA is high already, but for the youth it is higher and for those looking for a first job it is very tough." According to Statistics SA, only 12.8% of people in SA between 15 and 24 have a job (in terms of the narrow definition). For those between 25 and 34 years of age, only 49.6% actually have a job; and for those between 35 to 44 years of age, 63% have a job. "My message to matrics is that a job is a job. The big thing is to start off doing a first job. Yes, we will have minimum wages, but maybe we have to be careful regarding how it is implemented," suggested Schüssler. "Maybe people getting a job for the first time could be excused from having to get the minimum wage for the first two years of employment." Another suggestion by Schüssler is for young matriculants who do not find a job quickly to try and do volunteer work. "Maybe ask if you can just get money for transport. At least you will still be in the process of learning. The next employer wants to know that you can stick to a job and perform the tasks you are given. That is very important," said Schüssler. "Don't give up hope. Everybody is suffering and employers often prefer young people who are a little bit older - about 25 years - as they might be regarded as being more mature and used to the discipline of sticking to a job." He pointed out that this is a global trend as older people tend to be regarded as having proven themselves - whether they have done so or not. "Young people must try to offer a service - even start waitering, just start somewhere. The best advice is not to give up. And if you get a job, work hard. Employers want people who are productive and efficient," said Schüssler. "Young people must say to themselves: get a job, then negotiate and work your way up. It is not an automatic thing. Yes, SA's unemployment is high, but all over the world young people struggle to find jobs."